Built 1872. Also known as "Vereinstheater". 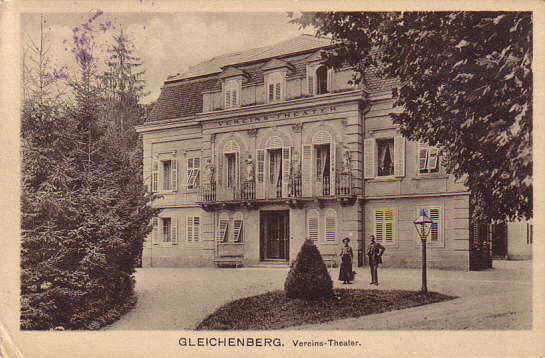 1921-1928 permanent summer home of the Stadttheater Leoben company. Since 1928 also used as a cinema. Later converted to a cinema. Closed 1977 and converted to a hotel (Hotel Allmer). 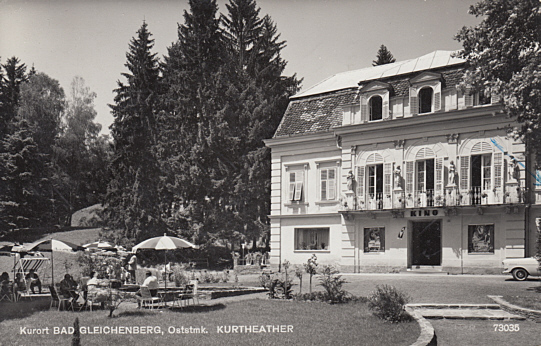 Front Text: "Kurort Bad Gleichenberg, Oststmk. Kurtheater"